Higher US bond yields have made the payouts offered by most stocks look pretty underwhelming lately. Not so Glencore, whose implied yield is startlingly high even though it’s throwing off cash like it’s going out of fashion. 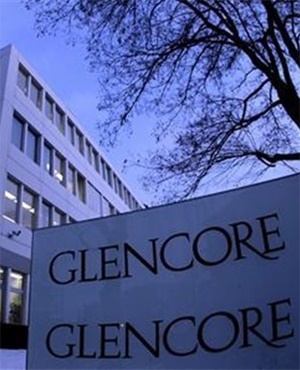 The market shrugged at its largesse, even erasing some of the gains Glencore had enjoyed from the easing of US-China trade tensions. The shares have dropped more than 21% this year and trade on less than eight times estimated earnings. Glencore’s cash flow projection indicates a whopping 14% yield – the amount investors get back as a percentage of the share price – should it indeed return all the cash via dividends and buybacks. The company is poised to generate almost half its market value in cash in just three years, according to the Bloomberg consensus forecast. So why aren’t shareholders clamouring for a slice of the spoils? With international delegates meeting in Poland this week to debate the unfolding planetary climate emergency, it’s tempting to view the market’s thumbs down on coal as ethical. Glencore talks a lot about the copper and cobalt it will supply for electric vehicles, but it’s made a huge bet on carbon. Some sustainability-minded investors won’t touch Glencore's shares for this reason, but that’s probably not why the coal business has been marked down. Rather, investors worry that high thermal coal prices aren’t sustainable. It’s possible they’re wrong about that. Glasenberg certainly thinks so.